We the guides and angels of the light are here. We greet you in this now, and we greet you with the thought, idea, and concept that you indeed, exist now in this physical realm and body, but your energy and your experience does not end here. You are able to enter the realm within to experience much more. As you breathe, open your heart, and focus inside you are able to tune into the infinite supply of Divine light and love, which is within you and all around. Love to heal, love to strengthen, love to help you tune in to your heart. Love to connect you with your authentic light and truth, and to know the true desires of your soul at this time. Love to support you in knowing your spiritual self, and in being able to fully experience this your inner Divine Light… This powerful vibrational force of you that is always here, always near, but you must tune in to it. Open your heart, quiet your mind, believe in your power to connect with the Divine Light within you. And now from this place, notice the physical world around you. You are still in your body, living on earth, but there is more. You are experiencing the realm beyond the physical as well. The spiritual realm which technically speaking, is not so much above, but within… The realm where angels and guides dwell, where unconditional love awaits your connection. The spiritual realm which is always present, always waiting, always within your open heart, and which is simply a breath away. Your mind may resist your entering this space. If fear or doubt comes up for you, release these beliefs like dropping a pen. Just let go, allowing yourself to no longer judge your experience, worry about whether you are getting it right, and to just be and breathe and feel your heart open. Open to receive the light, the love, the crystalline energy present on your planet. The energy that supports you in ascending, evolving as a being, letting go of limitation, limiting beliefs, and letting go of judgment and fear. Ask your guides and angels to support you in this, you have many nonphysical spiritual guides and angels assisting you in staying your course, staying on your path. Your guides and angels are guiding you to your ultimate growth, joy and fulfillment here in your life’s experience. This ultimate fulfillment comes not only from satisfaction and growth in your physical world, through things such as money, abundance, connection with others, fun new experiences, travels, learning. These are all a part of what you are here for, but they are only the beginning, they are the physical. And you are much more than simply a physical being. You are spirit at your core, your essence. And the fulfillment you seek here on earth now, the why behind living during a tumultuous time of change and ascension—a time where energy is accelerated and amplified in order to help you to get this- is that you are here to connect fully with your mind, body and spirit, uniting these forces through your experience. Prior to your being born, you indeed had an objective, a plan. Your spiritual self can guide your mind and physical body, ensuring that you are moving in the direction of your authentic goal, the goal set by you, your soul, your spirit. We say to you now, your open heart allows you to connect with the knowing and guidance of your spiritual being. Feel this force of light all around you, that is you. And let this energy build and grow big as you breathe and draw your awareness to it. On each in breath, imagine the golden Divine light of your inner being, expanding all around, lifting you up, and attuning you to the nonphysical, and to the spiritual, so you can observe this place, this feeling, this energy of love. Let this Divine light and love flow throughout your body, filling your physical body, but even more than that, filling your spiritual body, and your mental body, helping your mind to be calm. This place of quiet mind, still body, open heart, energy in alignment with divine love—this is where all the growth, all the change, all that you desire in your life, in your physical experience begins—always in your now, with energy, with thought, with belief, with frequency and empowered through action. By creating first in this inner plane, open heart connected to source, you will find that your manifestations are able to flow into your life with ease and grace. The days of forcing things to happen in the physical are coming to a close. Yes, you can still create in this way, but there is a great universal shift away from it. For your objective now is to learn to manifest with energy for your benefit and for the benefit of all. You can positively transform your life, aligning with love, calm, fulfillment, connection with others and radical self-love, and you can then overflow these blessings towards others. Your power to create, your strength in this realm is in understanding and implementing the law of love in your life. Love is a powerful force, a benevolent force, we shall even say, conscious energy. 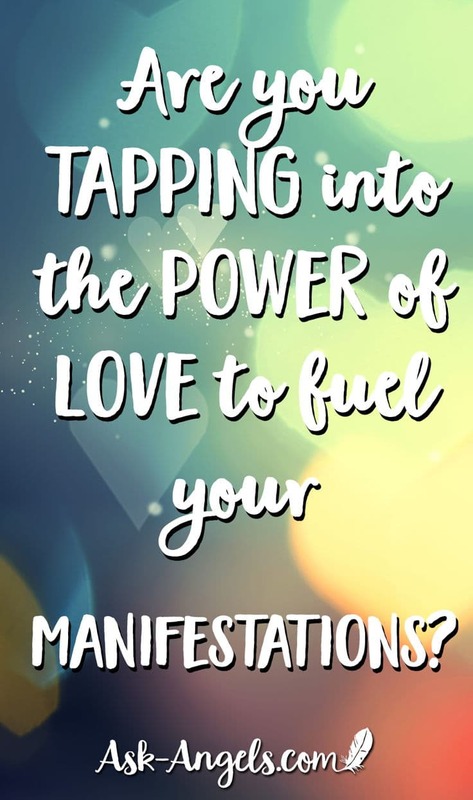 When you connect with it, when you embrace love, love for yourself, love for the planet, love for all existence, all creation, you are in a positive point of attraction. You are in alignment with the Law of Love. When you are in this incredible vibration of love, as you are now, the limitations of your past no longer apply. What you believe, what you think to be true, is indeed a powerful start in determining the world around you. And so by daily entering into this space of love, of open heart, of authentic connection with the Divine, and with your inner divine light, you are able to know your course. And if you are thinking now, “But what if I do not know?,” simply begin to return time and time again, present moment after present moment, to love. Return to this space of unity, knowing you are spirit, and knowing you are love. As you fill up with love and light, by overflowing you are able to share this light, share this love with others. And this is powerful for as you bring love into the life of another, your life is blessed indeed. But know that you cannot wholly shine your light of love into another’s existence without fully loving, and embracing your own divine light and self. As you are willing to forgive yourself? Are you are willing to love yourself? With self love in you, around you, and present with you, you are able to accomplish all things. The more love you are able to embrace, the more you are able to overflow and share with those around you. Begin by loving yourself, opening your heart, forgiving your past, and honoring your present, your now moment. Unlimited possibility awaits you when you combine your inner divine light and love with the new light, new consciousness on earth. This energy cannot be controlled or manipulated. 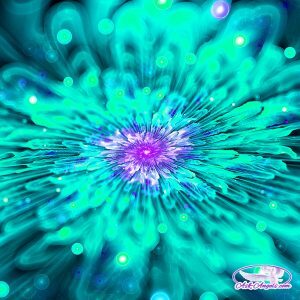 But when you love, magically, synchronistically, the energies of the universe, of your plane, in your life change, flow in a new way, and begin to form the spark initiated within your heart, to bring about your true desires, to bring more joy, laughter, compassion and love to your experience. Positive Change Begins With You! Positive change begins with you. It begins with self-love. It begins with your commitment to be patient with yourself, to love yourself for who you are, and to open your heart. Give yourself the freedom of completely letting go of limited thinking, and the limited idea of how you perceive yourself. You are truly a magnificent light-filled spiritual being in physical form. Allow love in and begin your life anew, creating not with force, not with struggle, but creating with energy with thought and backed with the power of love and inspired action. With this, all things are possible. Great positive change is possible in your world. Believe, love and take your first step. Within you exists all that you need to know. Your knowledge, your wisdom, the light of your spirit can be found within you to guide your experience. The love within you is a source of great power. You are ready to create with love. We leave you with our blessing. Know that, indeed, divine love is all around you. Allow it into your manifestation experience. Allow your inner divine light and presence to shine. I am doing everything suggested to meet my spirit guide and I am only getting a bright gold light when I shut my eyes…. And I keep seeing Hawks fly around my home and thinking of a owls beak. I tryed one of those meditation things to meet I could only Picture myself on the back of a Snake like Dragon with a sword in my Hand about to slay it. Bizzarre. Help? Absolutely beautiful So Uplifting. My Heart is opened for my new adventure It’s just beginning an I truly Im looking forward for unveiling All the Wonders of this Earth an the spiritual realms.. I Thank You for opening my eyes to this magical world. Much Happiness an Love to you All..